You never have to search for the good stuff here! Bursting with larger pieces of fruit and nuts, our versatile Organic granola's are both delicious and good for you. We craft them "old school" style using locally sourced organic oats, and without adding fats or oils. Eaten as a hot or cold cereal, used as a topping for ice cream or salads, stirred into Greek yogurt, or as a quick snack on-the-go, our tasty granola's are pure nutty, crunchy, organic goodness! 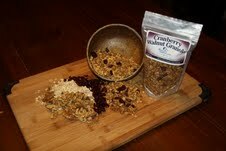 Made with thick cut locally grown rolled oats, along with organic brown sugar, organic cinnamon, organic cranberries, walnuts, and sea salt. Made with thick cut locally grown rolled oats, along with organic brown sugar, organic cinnamon, organic bananas, walnuts, and sea salt. 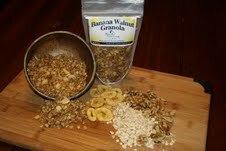 Designed as an option for those with nut allergies, our latest granola fills the bill and then some! 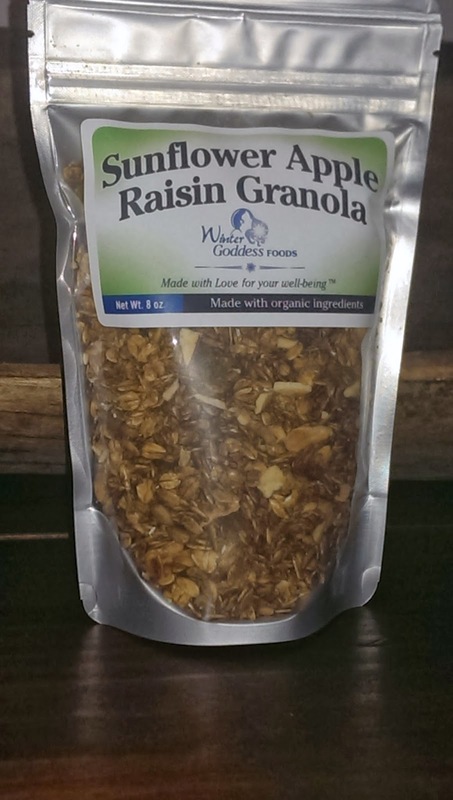 A delicious blend of plump golden raisins, crunchy sunflower seed kernels, and tart apple pieces sourced locally from Brand Farms in Farmington MN, this granola is a satisfying combination of chewy, tangy, nutty goodness! Made with thick cut rolled oats locally grown, along with organic brown sugar, organic cinnamon, organic golden raisins, dried apple pieces, organic sunflower kernels, and sea salt.